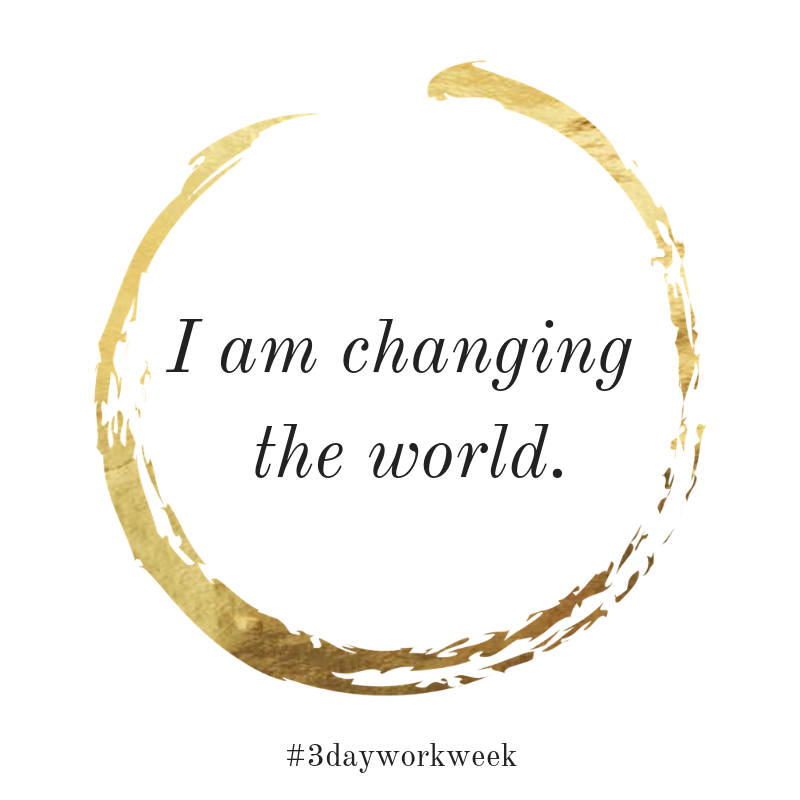 I’ve been realizing that my little 3-day workweek has taken on a life of its own. What started as a personal choice for myself, my family and my business back in January of 2015 has since transformed into a shining beacon of “success on your terms” for nearly 10,000 women. 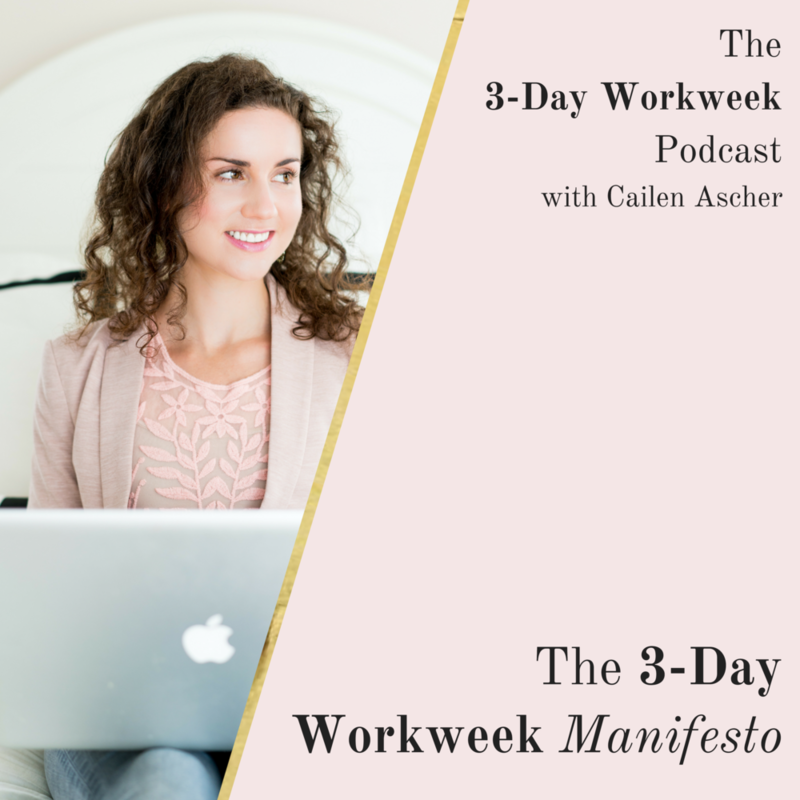 → I want to give you the steps to make a 3-Day Workweek (or whatever ideal working situation you desire) your reality. → I want to empower you with the tools you need to create epic success on your terms. → And, I want you to boldly stand for (and go after!) whatever “success” means to you -- whether it be big and glorious and 7-figures or cozy and serene and totally taken care of. With those goals in mind, I realized that we as a community needed a unifying force. Something for all of us to gather around, stand behind and share with the world. We are a global collective of women entrepreneurs who prioritize lifestyle above all else. We want abundant full-time income & part-time hours. We want to do the work that lights us up, while still being present for ourselves, our loved ones and our lives. We dream BIG and take inspired action toward those dreams every day. We want flow and ease as we create our own version of success - one that lights us up. We desire an abundance of time, money and energy for all of our desires and priorities. Every day we aim for growth and expansion. Every day we aim to be a better version of ourselves. We seek both personal and professional development. We are women - mothers, wives, sisters, daughters, friends, business owners, change makers, founders, leaders, creatives, visionaries. We realize our dreams matter, and we understand that our dreams are meant for us. We want to feel good in the realization of those dreams -- every step of the way. We know that by living in alignment with our dreams + desires we are making our maximum contribution and setting the best example we can for future generations.